This wireless up lighting package is perfect for accent lighting or ambient lighting for a large venue. 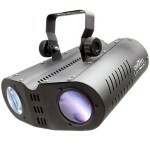 The lights are powerful, low-profile, and battery operated - no cabling required - making setup extremely easy. 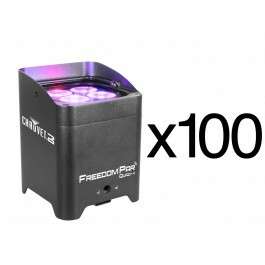 The Freedom Par Quad 4 is a quad-color LED ideal for colorful accents or ambient wash lighting. Place along the walls, next to pillars, landscaping or any other feature you'd like to highlight with a beautiful wash of color. They're battery operated (lasting upwards of 8 hours on a full charge) so they can be placed anywhere without worrying about proximity to the nearest electrical outlet or unsightly extension cords running along the floor.